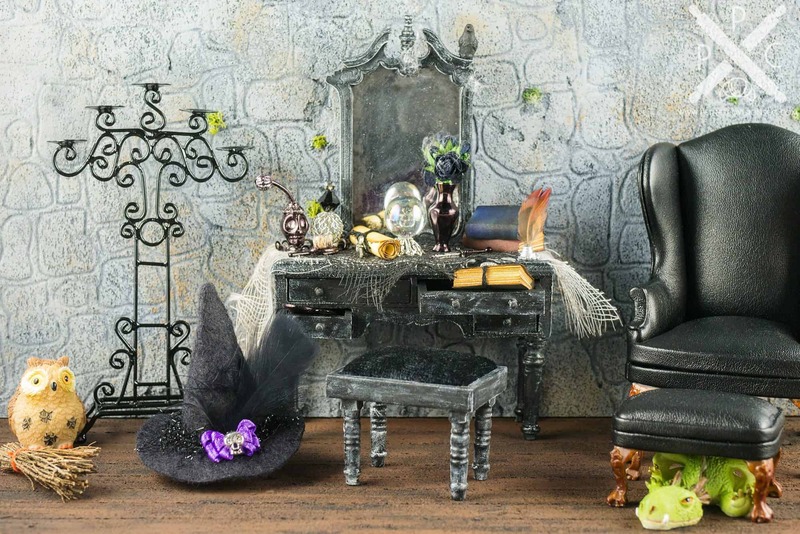 Dollhouse Miniature Haunting Halloween Witch's Vanity - 1:12 Dollhouse Miniature - The Petite Provisions Co. 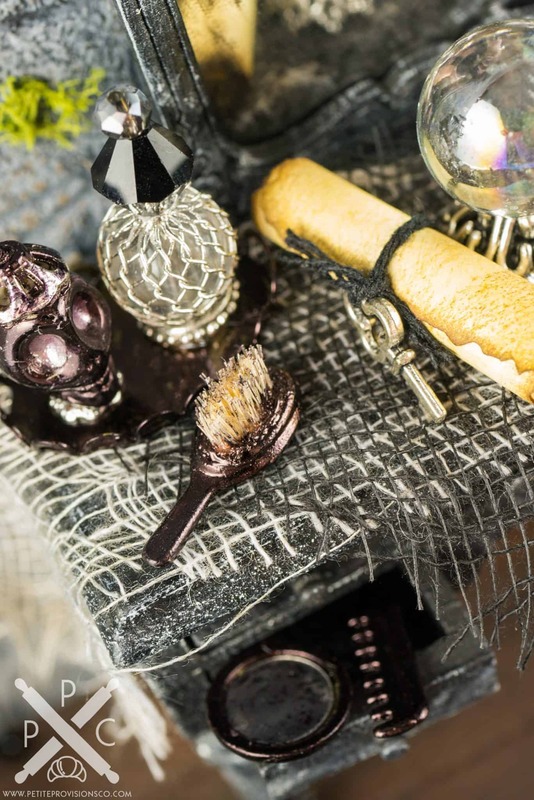 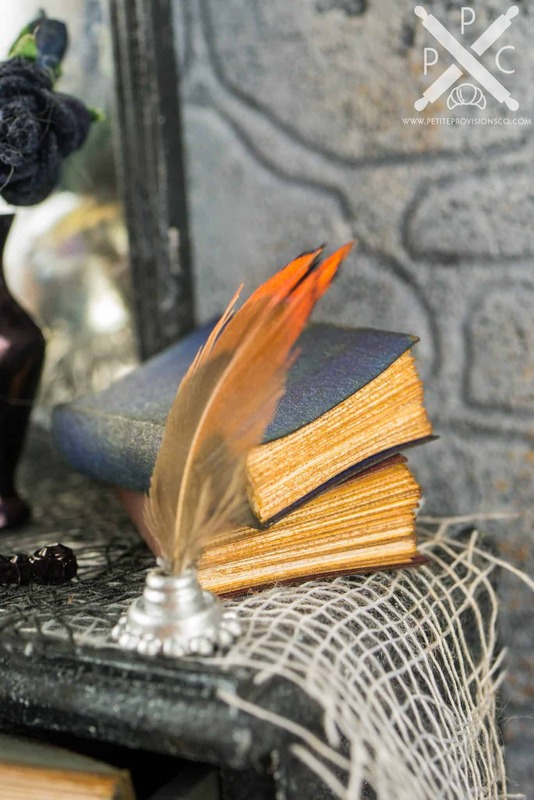 Celebrate Halloween with an adorable witch-themed dressing table! 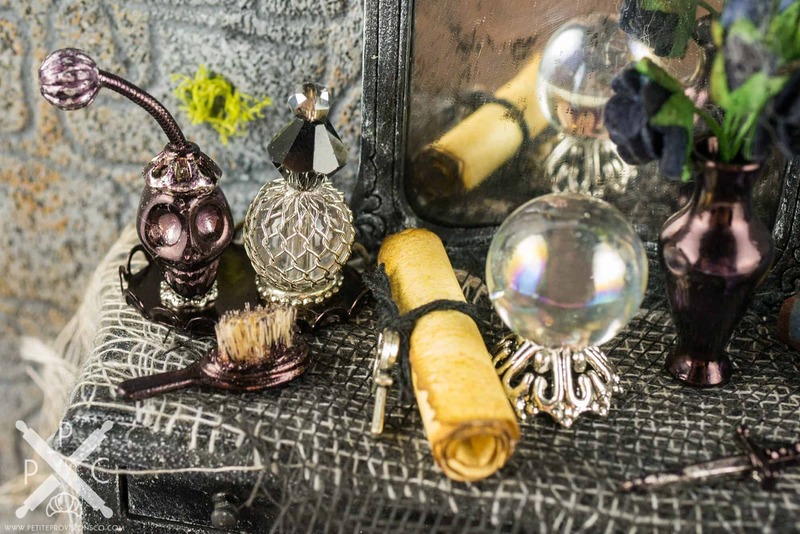 This witch’s vanity is overflowing with darling details, from a witch’s hat to a crystal ball! 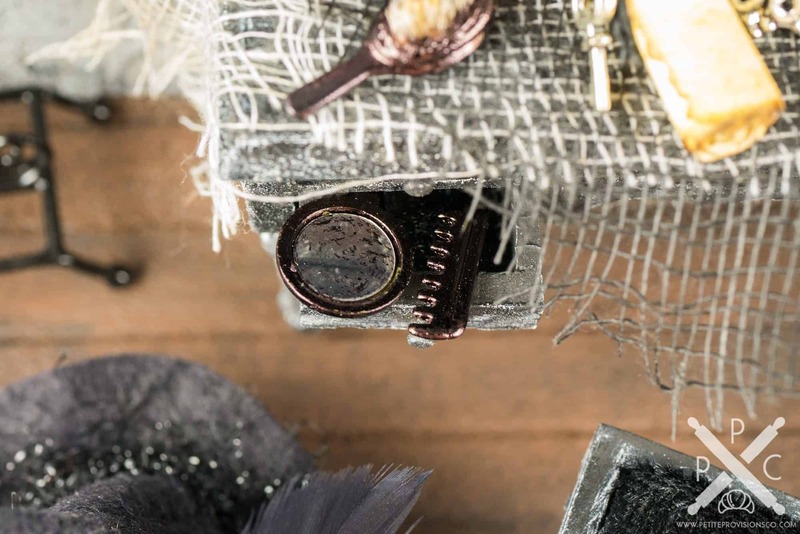 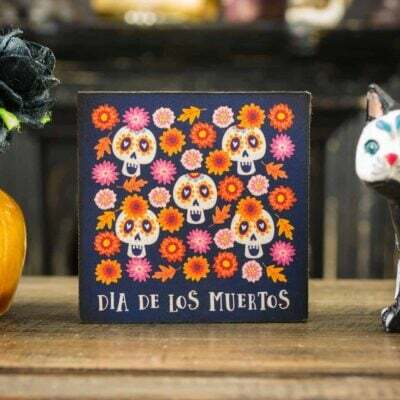 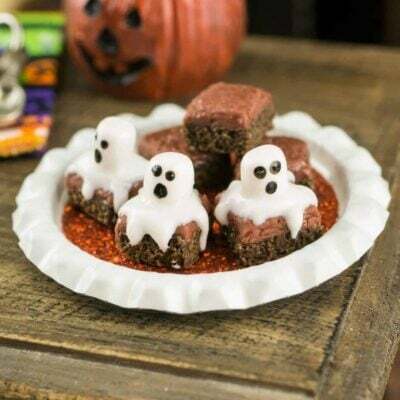 Whether you have a dollhouse or just love all things tiny, this wee Halloween decoration is too cute to resist! 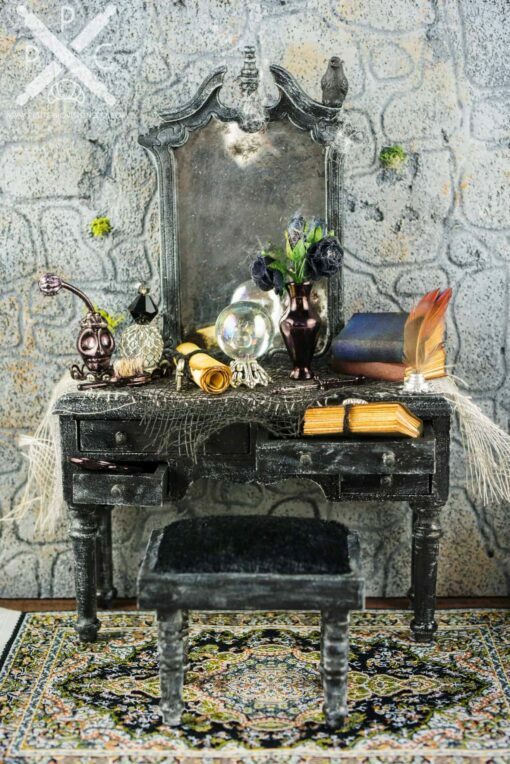 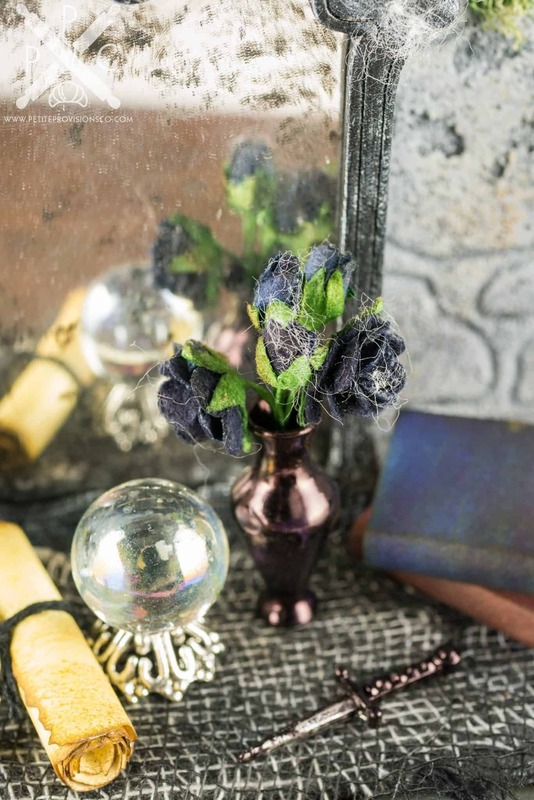 This Halloween vanity, mirror and stool set is decorated for a witch’s boudoir with spooky decorations like a felt witch’s hat, embellished with a black feather, purple ribbon and skull charm, a brush, comb and mirror set, a crystal ball, skull perfume atomizer and much more (see complete list below)! 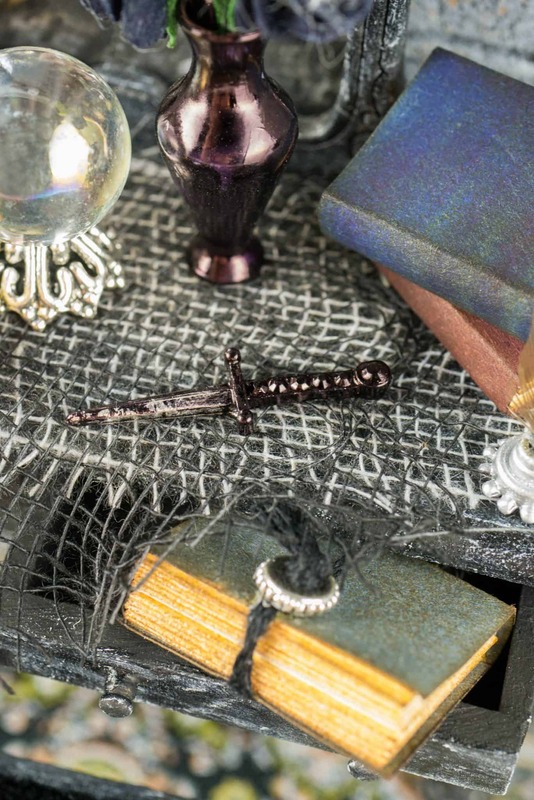 The vanity measures 5-1/2″ tall (to the top of the mirror), 3-3/4″ wide and 1-1/2″ deep. 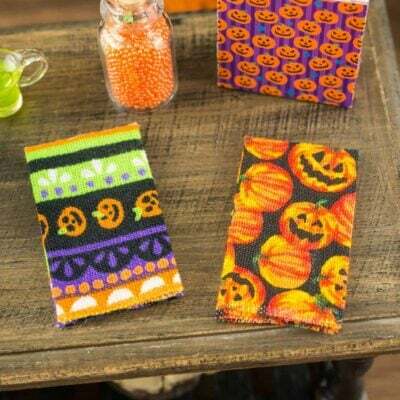 The stool measures 1-7/8″ wide, 1-1/2″ tall and 1-3/8″ deep. 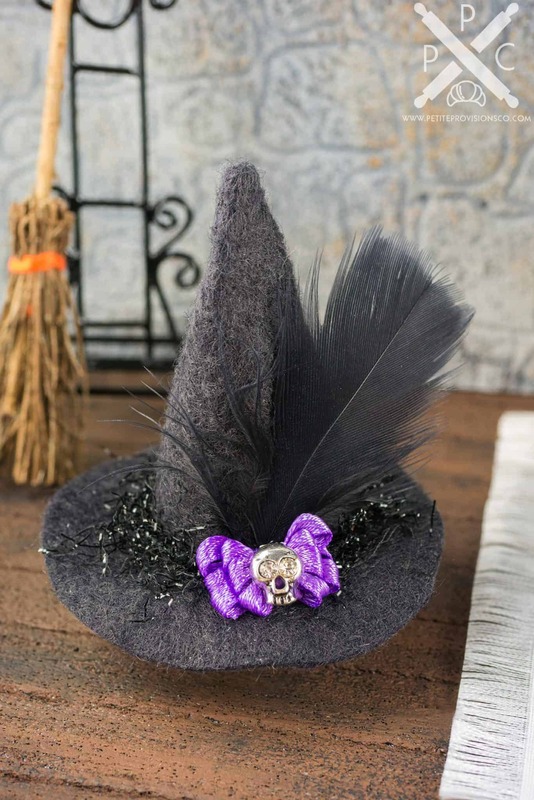 The hat measures 2″ tall and the brim is 2″ in diameter. 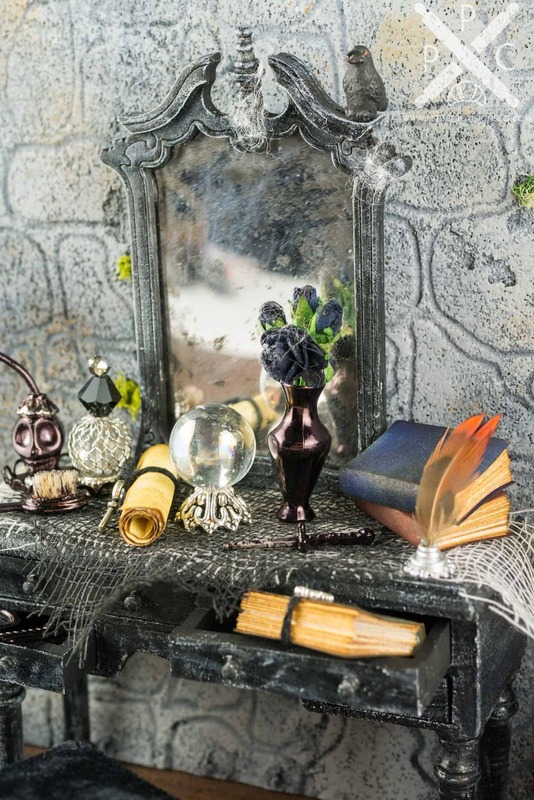 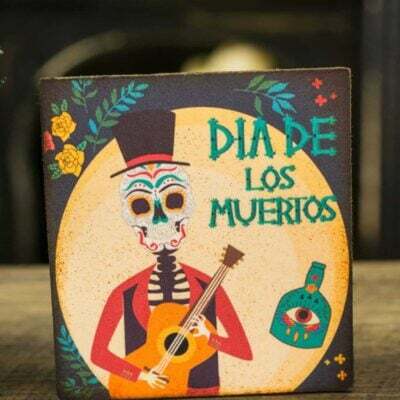 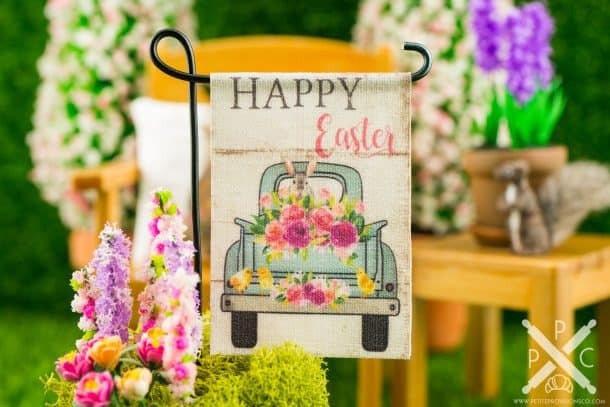 All items are loose and can be rearranged to your liking except the atomizer and bottle, which are attached to the vanity tray; the two books, which are glued together; and the raven perched atop the vanity mirror.